One of the common complaints patients have about Malpani Infertility Clinic is that we are very frank and forthright . If we think the patient has a poor chance of getting pregnant, we will tell her this to her face. A lot of patients don't like this kind of bluntness. The fact of the matter is I can speak as sweetly as everyone else, but I usually find it is far better to be upfront so that patients have realistic expectations . I prefer this as compared to sweet talking them by being excessively optimistic so that they sign up for the IVF treatment, and then end up over promising and under delivering. It can be hard to know what the patient's response to my frankness is going to be. Some patients get upset and turned off and say - We would rather go to a doctor who is more hopeful and optimistic. Now, it's not that I am pessimistic at all. I am an optimist, but I think there is a balance we need to keep, and I don't want to cross the line. I will never take a patient's hope away, but I will be honest and share the uncertainty which plagues IVF with them . I think this is kinder in the long run , and I prefer to think of the long-term consequences of my actions, rather than look for a quick short term win by luring the patient to sign up for an IVF cycle by offering false hope. It is much easier for IVF patients if we keep their expectations low, so that even if their cycle fails , they don't go to pieces and it is easier for them to recover. My mantra is - Hope for the best and prepare for the worst. Interestingly, there are some patients who actually appreciate my frank and forthright approach . They say, " Doc, when you told us the truth we felt bad, but at least this way we felt bad only for a day , and we are not going to keep on feeling bad for the rest of our life because you levelled with us and told us what the reality is . It's easier for us now to come to terms with the situation , so that we can carry on with our life. " 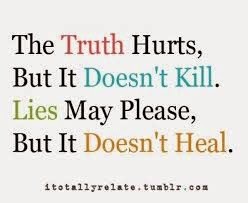 Learning the truth can be stressful , and it's not easy for me to have to tell patients bad news, but I think it is far better that as a professional I be honest with them so that they can then come to grips with facts and move on with their lives. The one thing I will never do is take away hope from a patient, but on the other hand I will try my best not to give them false hope. As I tell them, there is always a solution for any problem, and we need to work together to find a solution which is right for them. Need help in moving forward ? Please send me your medical details by filling in the form at www.drmalpani.com/free-second-opinion so that I can guide you better !